Be the first to share your favorite memory, photo or story of Susan Ashley. This memorial page is dedicated for family, friends and future generations to celebrate the life of their loved one. Susan Ashley Jones Thigpen, resident of the Scott's Store community, Mount Olive, passed away early Tuesday morning, January 29, at Wayne Memorial Hospital. Ashley, in her short 33 years, accomplished much. 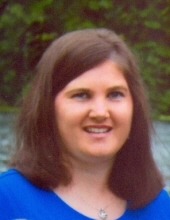 She was a member of the 2004 graduating class of North Duplin High School and from her studies at Wayne Community College, she received degrees in both medical office administration and early childhood education, and was a certified nursing assistant. She loved her church family at Long Ridge Free Will Baptist Church, and was named Fire Princess of Oak Wolfe Volunteer Fire Department in 2001. Ashley learned from following in her daddy and granddaddy's footsteps, how to operate the family dairy farm and how to operate and repair farm machinery. She had been a child care provider for neighboring families, had been employed at Countryview Western Store in Goldsboro and at Once Upon a Time Day Care near her home. Her last years of employment were at Vidant Duplin Hospital where she was admissions clerk in the emergency department. Ashley is survived by her husband, Bradley S. Thigpen, and their daughter, four-year old Kalley Elizabeth Thigpen, both of the home; her parents, Eugene and Cindy Holmes Jones; a sister and brother-in-law, Jennifer and Felix Jones; her grandmother, Sue R. Holmes; her mother-in-law, Debbie L. Thigpen, all of the Mount Olive area; a sister-in-law, Tanya T. Bright and husband, J.B. of Deep Run; Brad's grandfather, Alfred Thigpen; and several aunts, uncles, and cousins, all of whom she loved very much. She was preceded in death by her grandparents, Adrian and Fannie Hill Jones and Stephen O. Holmes; and her father-in-law, Gary Thigpen. Ashley's life will be remembered in a service at 6p.m. Wednesday, January 30, at Tyndall Funeral Home, officiated by the Rev. Kelvin Coates, with visitation to follow. Burial will be at 11 a.m. Thursday, January 31, at Maplewood Cemetery. Flowers are welcome, or memorial gifts may be made to Long Ridge Church, c/o Mike Davis, 182 Jeff Outlaw Road, Mount Olive, NC 28365. To send flowers or a remembrance gift to the family of Susan Ashley Jones Thigpen, please visit our Tribute Store. "Email Address" would like to share the life celebration of Susan Ashley Jones Thigpen. Click on the "link" to go to share a favorite memory or leave a condolence message for the family.